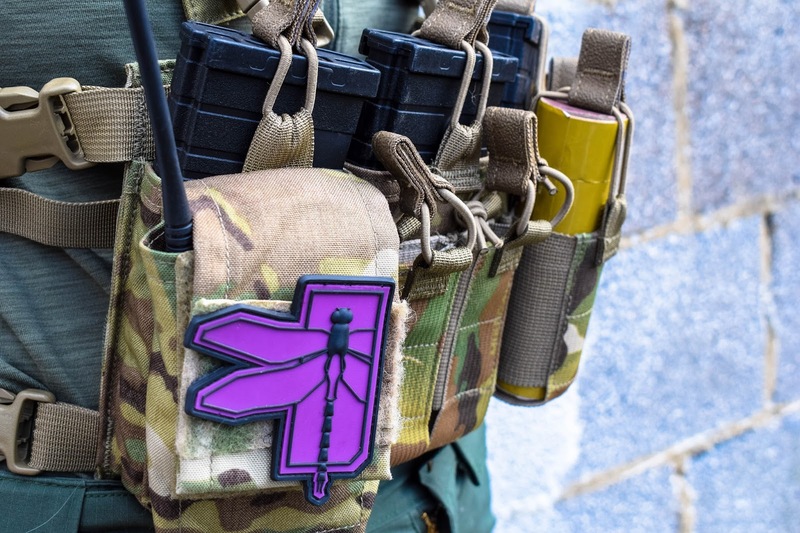 As far as Gucci kit goes Haley Strategic is a name that is up there, and the D3CR Chest Rig is revered in the community as one of the best chest rigs on the market and a must have for MilSim enthusiasts, but are they really all they’re cracked up to be? 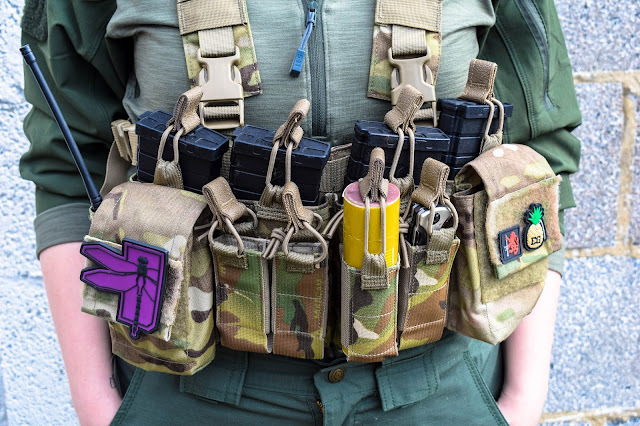 My friends over at Land Warrior Airsoft in Dalkeith, Scotland sent over the newest generation of Haley chest rigs, the D3CR-X for review and here are my thoughts. The new Haley Strategic Disruptive Environments Chest Rig X has been designed to improve comfort and storage capabilities for the operator whilst still working perfectly with the existing range of comprehensive D3CR accessories. 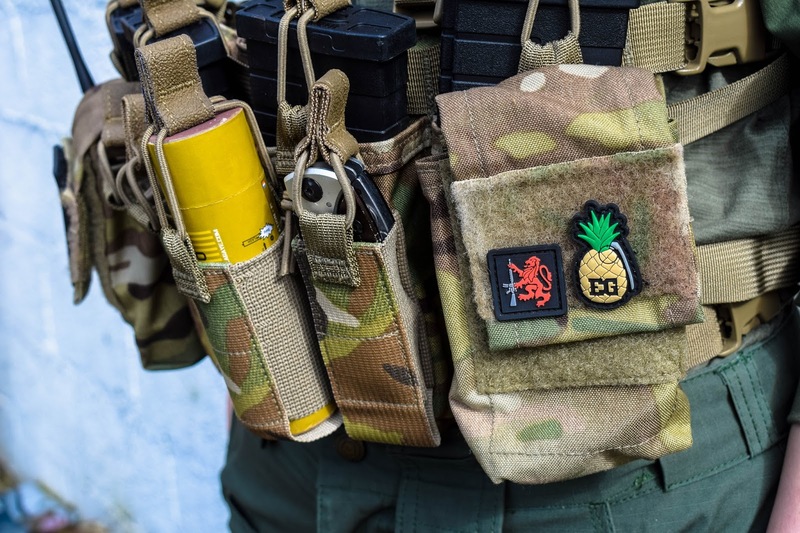 The new design means the Chest Rig has 4 rifle magazine pouches that accept both AR type magazines as well as AK 7.62 x39mm and 5.45 x 39 magazines! The new 2 Multi-Mission pouches are also a very much welcomed additions - they are super useful, for tactical snacks, radios, small med kits etc. The 4 pistol mag pouches are a versatile pouches that accept 1911, Glock, Sig, M&P, XD and other standard double or single stack pistol mags, as well as many other useful bits and bobs including handheld torches, multi-tools, and (the most useful for my own gameplay) 40mm grenades, and for me that means my trusty TRMR impact grenade and a few Enola Gaye smoke grenades/flashbangs! The rig features an all new X harness for ultimate adjustability and a full Velcro front panel that allows the rig to be outfitted with accessories, as well as assist in the full contact connection with plate carriers. One of my favourite aspects about the chest rig is the full panel of Velcro because it allows me to easily swap the front panel from my Warrior Assault Systems Recon Plate Carrier out, for the D3CR-X panel really easily - just upclip the straps, rip off the panel, attach the panel and do up the clips and the jobs a good ‘un! This is particularly useful when I am switching between playing Skirmish and MilSim Ops as the gameplay is so different a different loadout is needed. Just like the D3CR-X’s predecessor, the rig is designed and even optimized to be super low profile and to go to work in confined spaces including vehicles. When used on its own, the rig is low profile enough to be worn fully loaded and not make marks on a normal/loose fit jacket or hoodie. When it is used on a body armour platform with a quick release system, the rig can be attached or stowed in seconds. This ultimately gives the end user the versatility to transition from low visibility to high visibility or vice versa in seconds. One of the main notable differences is that this new rig purposefully doesn’t have a dedicated radio or medical pouch and this means that regardless of the posture of the operator, all the mission essentials such as comms and med kits can remain on the end user. Let’s chat about the quality. The D3CR-X is made from genuine MultiCam so it is tough and durable. The construction of the rig is phenomenal, as would be expected from any Haley Strategic product. The retention bungee cord grab tabs are reinforced with a rubber for longevity and for extra grip when wearing gloves and pulling the tabs over magazines which is a nice touch. Each of the magazine pouches has a drainage hole at the bottom of the pouch to ensure water can drain from the pouches on those wet game days/ops – a feature I have not seen on imitations of the Haley rigs. The X harness straps are strong and have molle systems on the front (for the D3 weapon sling) which means even though you’re wearing a chest rig you don’t have to sacrifice the security of having a rifle sling. I have used the D3CR-X both on its own during HTIS Operation Blue Fox 2 and as the front panel on my WAS Recon PC. I do favour using the rig as a mounted panel on my plate carrier. The rig when worn on its own as a standalone piece is very lightweight and easy to wear for prolonged periods of time – this was my rig of choice for STAG duties and patrolling (when I knew I would be on my feet for a substantial period of time but I wouldn’t be engaging in too much contact but had the essentials on me just in case sh*t did hit the fan!). The X harness means the rig works really well with most backpacks - I paired mine with a Nuprol PMC Hydration backpack to give me extra space for carrying smokes and my hydration bladder. As the rig is easy to mount it was plug and play – I didn’t even have to unload it. Like I said previously, just rip off the Velcro back and slap it on the PC. The ease of this transition is perfect. My only gripe with using the rig as a mounted piece is that is does overhang the sides of my PC a tad – it doesn’t affect the use of it and it isn’t noticeable when worn but it’s just something that gets to the perfectionist in me! Haha. Used with my PC it gives me more opportunities to carry mags, smokes and the mission pouches give me a little extra something without adding too much weight or bulk. What about price I hear you ask? Gucci kit comes with a Gucci price tag. The D3CR-X retails for £179.99 from Land Warrior so it is pricey, but if you’re an Airsofter who wants a high quality chest rig that will last you – this is the perfect option and you won’t need to buy another (unless you wanted it in another colour of course!) The D3CR-X is available in MultiCam, Coyote, Black, Ranger Green, MultiCam Black and Disruptive Grey so no matter what your loadout is there is a colour way to suit. Overall, I think the D3CR-X is a fantastic piece and it has become a staple in my MilSim loadouts, it is pretty pricey so I would say it is a purchase you need to be sure of, however the quality means you won’t have to buy another chest rig for a long time so for me, that’s a win! Hardwick, K. (2017). Haley D3CR-X. Airsoft Action. 76 (July), 32-33.